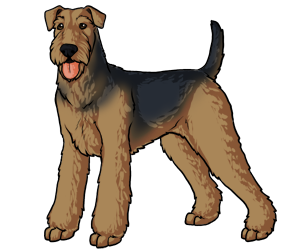 The Airedale was originally bred as a large terrier that would go in the water if needed. Their original purpose was to hunt small vermin in the Valley of Aire in Yorkshire, England. More recently, they have been used as big game hunters in Canada, India, and Africa. They have also been used as guard and police dogs in England.